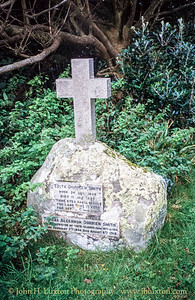 In early times one group of islands was in the possession of a confederacy of hermits. 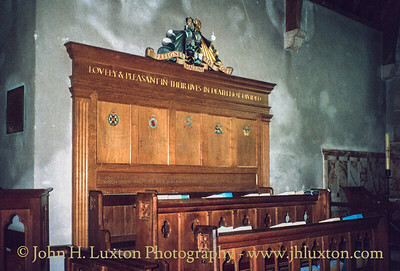 King Henry I gave it to Tavistock Abbey which established a priory on Tresco; it was abolished during the Dissolution of the Monasteries. 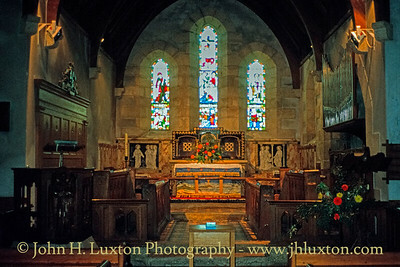 The priory was given the care of souls in the secular islands by the lord of the fief. 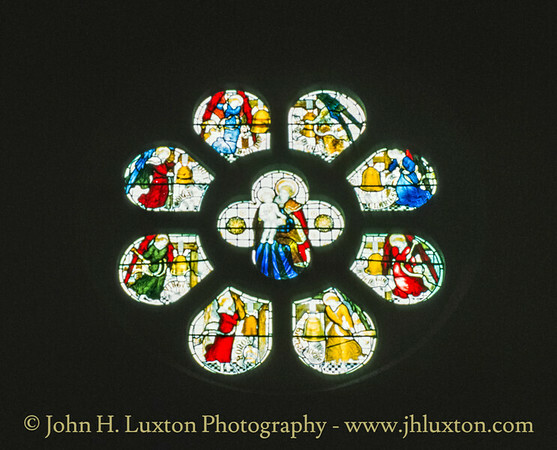 In 1233, a prior here, known as Alan of Cornwall, was made abbot of Tavistock. 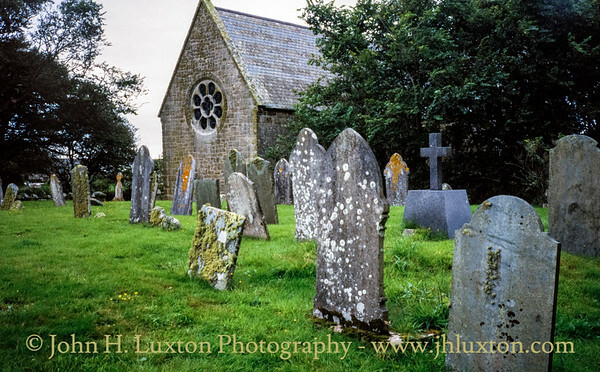 The original name for the island (including Bryher) was the Cornish: Ryn Tewyn meaning "promontory of sand-dunes". 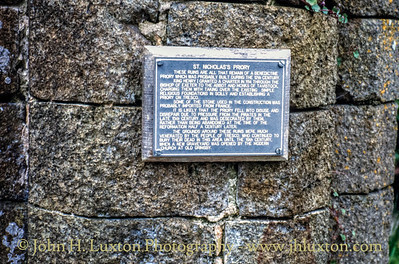 In 1193 when the island was granted to the abbot of Tavistock by Pope Celestine III the island was known as St. Nicholas's island and by 1305 it is called Trescau (farm of elder-trees). 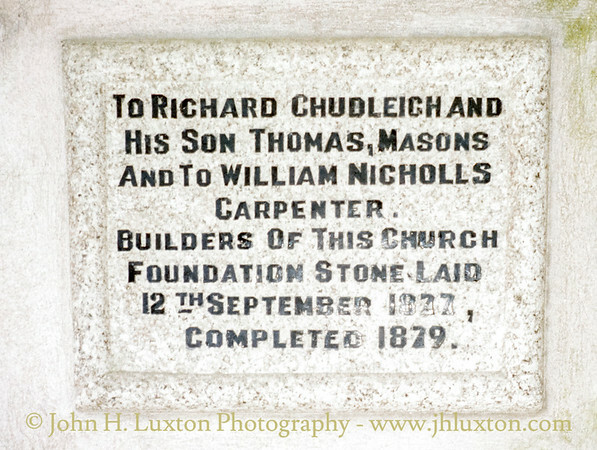 By 1540 this has changed to Iniscaw (island of elder-trees). The island was named as Trescaw in an 1814 publication. 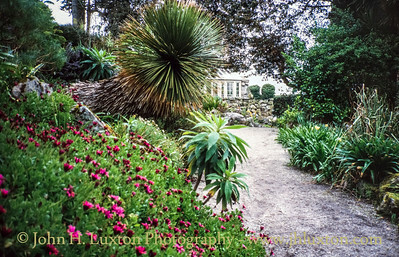 The island is administered for the Crown by the Duchy of Cornwall and is leased to the Dorrien-Smith estate, which runs it as a timeshare business. 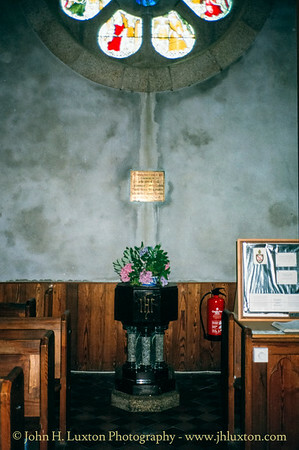 The Dorrien-Smith family (descended from Augustus Smith) held the position of Lord Proprietors of the Scilly Islands between 1834 and 1920. In 2007 a rebuild of the Abbey Farm/Shed area was completed; this area served as RNAS Tresco, a seaplane base during the First World War. 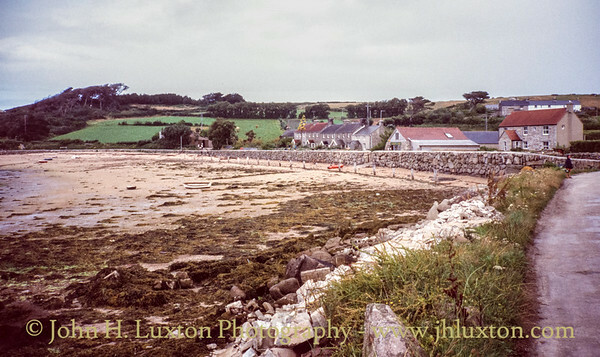 The development included rental cottages, a swimming pool and spa and the Flying Boat Bar & Bistro. In 2012 the Island Hotel was closed. Parts of the complex were converted into luxury holiday cottages; other parts of the hotel were demolished with new cottages built in its place. The Sea Garden Cottages now offer flexible accommodation with an on-site spa and tennis court. 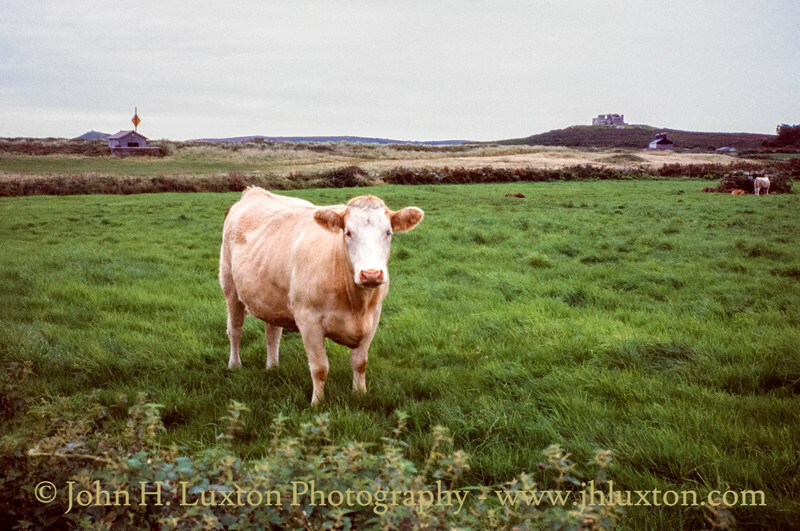 Tresco Cow with the historic block house visible to the rear near IOld Grimsby. A flowing Agave Americana plant which dies after it flowers after a period of sudden growth. 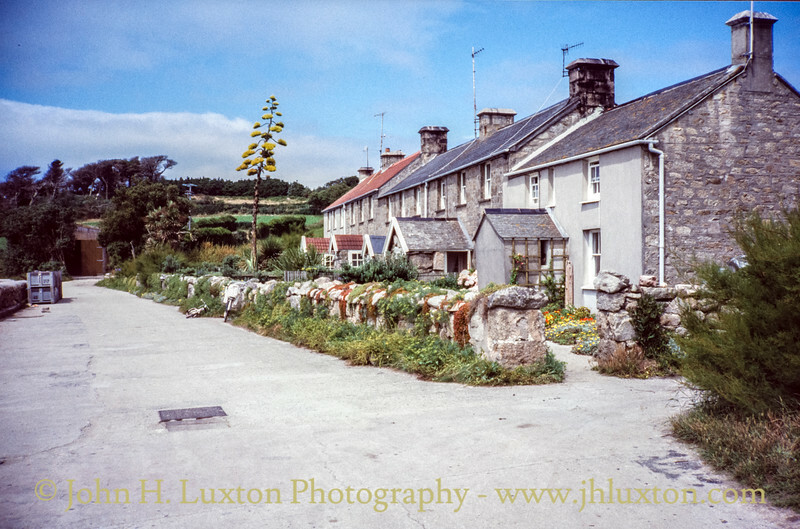 This one appeared outside cottages at New Grimsby on Treasco during 1994. A description from Wikipedia: Although it is called the century plant, it typically lives only 10 to 30 years. It has a spread around 6–10 ft (1.8–3.0 m) with gray-green leaves of 3–5 ft (0.9–1.5 m) long, each with a prickly margin and a heavy spike at the tip that can pierce deeply. 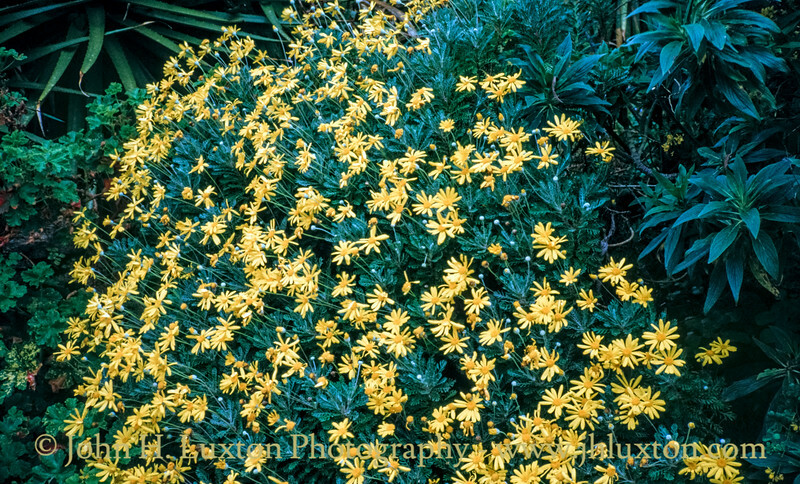 Near the end of its life, the plant sends up a tall, branched stalk, laden with yellow blossoms, that may reach a total height up to 25–30 ft (8–9 m) tall. Its common name derives from its semelparous nature of flowering only once at the end of its long life. The plant dies after flowering, but produces suckers or adventitious shoots from the base, which continue its growth. A flowering Agave Americana plant which dies after it flowers after a period of sudden growth. 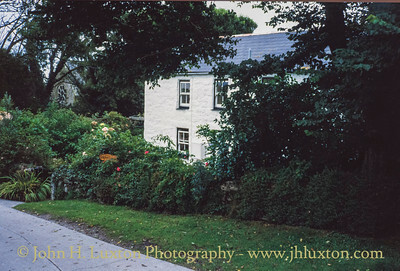 This one appeared outside cottages at New Grimsby on Treasco during 1994. A description from Wikipedia: Although it is called the century plant, it typically lives only 10 to 30 years. It has a spread around 6–10 ft (1.8–3.0 m) with gray-green leaves of 3–5 ft (0.9–1.5 m) long, each with a prickly margin and a heavy spike at the tip that can pierce deeply. 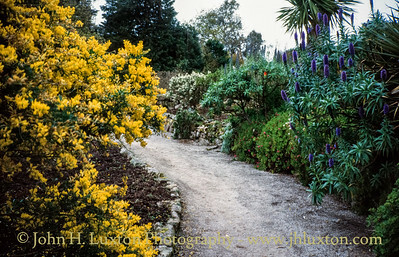 Near the end of its life, the plant sends up a tall, branched stalk, laden with yellow blossoms, that may reach a total height up to 25–30 ft (8–9 m) tall. Its common name derives from its semelparous nature of flowering only once at the end of its long life. The plant dies after flowering, but produces suckers or adventitious shoots from the base, which continue its growth. 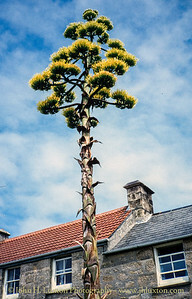 A flowering Agave Americana plant which dies after it flowers after a period of sudden growth. 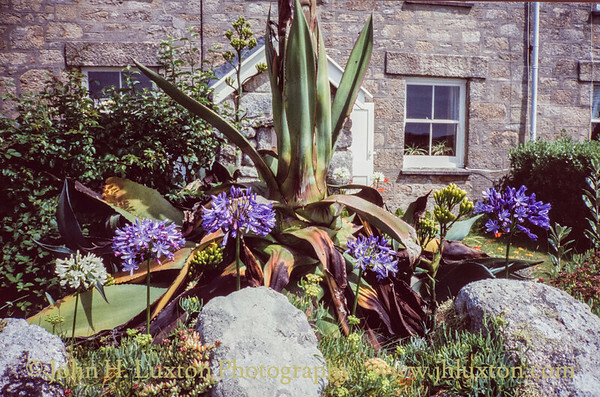 This one appeared outside cottages at New Grimsby on Tresco during 1994. 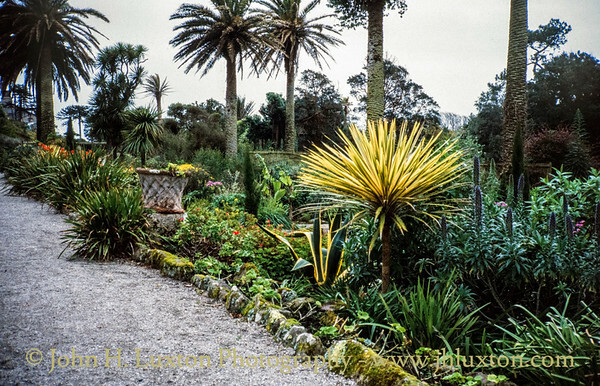 A description from Wikipedia: Although it is called the century plant, it typically lives only 10 to 30 years. It has a spread around 6–10 ft (1.8–3.0 m) with gray-green leaves of 3–5 ft (0.9–1.5 m) long, each with a prickly margin and a heavy spike at the tip that can pierce deeply. 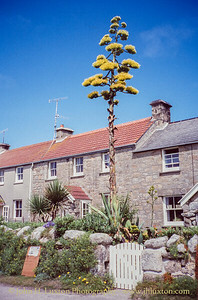 Near the end of its life, the plant sends up a tall, branched stalk, laden with yellow blossoms, that may reach a total height up to 25–30 ft (8–9 m) tall. Its common name derives from its semelparous nature of flowering only once at the end of its long life. The plant dies after flowering, but produces suckers or adventitious shoots from the base, which continue its growth. 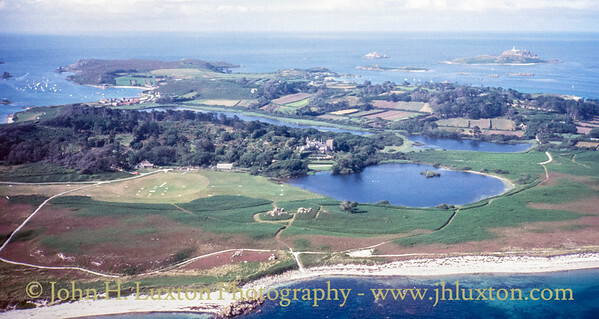 Aerial view of Tresco from a departing for Penzance. The Heliport can be seen right centre with its grass runway extending to the left across the path to Carn Near. View towards Carn Near / Crow Point with the Island of St Mary's in the background taken from a flight arriving from Penzance Heliport. 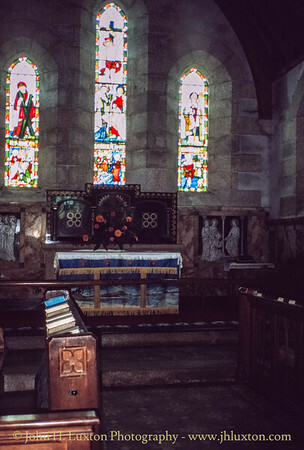 St Nicholas Church, Isles of Scilly. 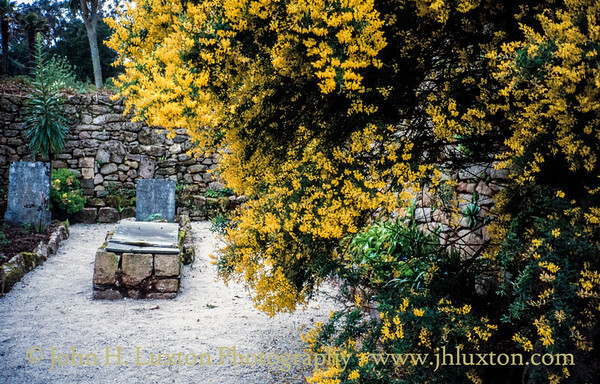 Remains of Tresco Abbey / Priory of St Nicholas which was established by Tavistock Abbey. 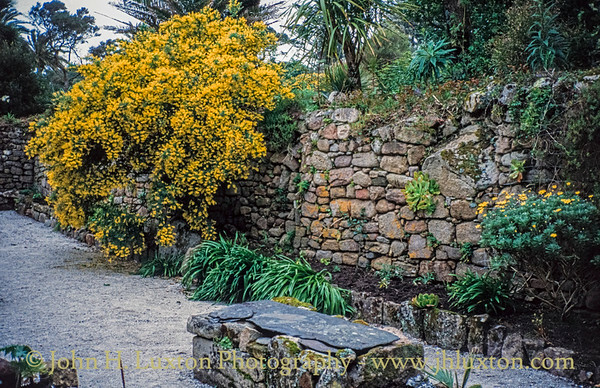 The remains are incorporated into Tresco Abbey Gardens.